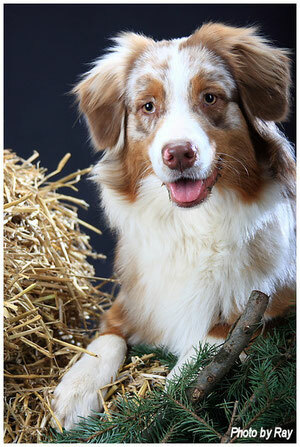 She is our first self-bred Australian Shepherd out of Joyce and Sipaï. She is our young girl and she does not want to grow up. Probably she has inherited the herding instinct from his father. In Agility we are waiting that she has learned the Slalom, and then we only have to bring everything together into one whole. After that we can start into her competition career.